Free Two Man Delivery Upgrade - to the room of your choosing! Introducing the stylish Orbit Fabric Bed Frame from Limelight's Signature Collection: made to stand out in any bedroom! 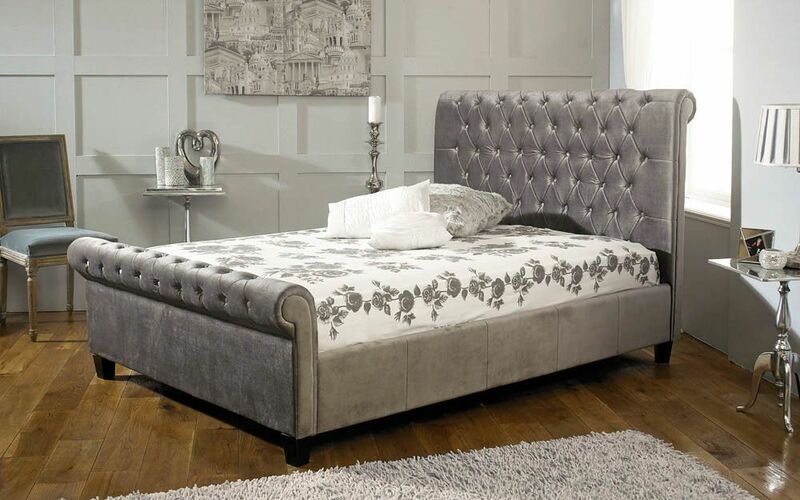 Complete with a luxurious scroll headboard and foot end, the Orbit sleigh bed is the perfect addition to your bedroom. 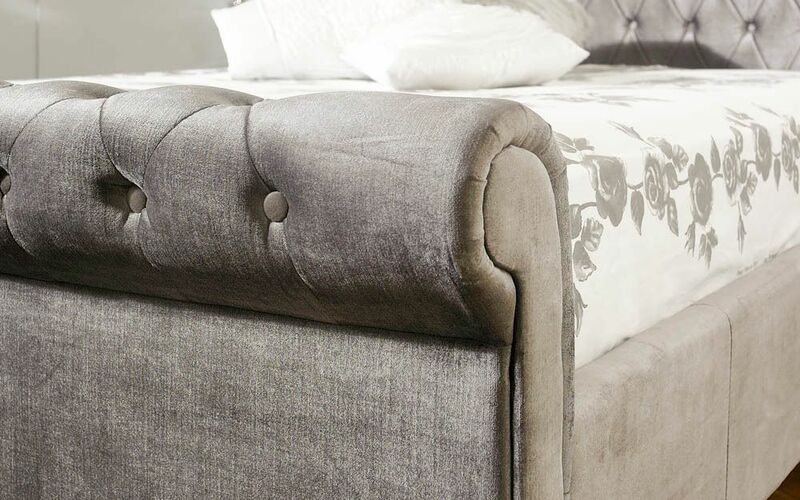 Luxury quilted button detailing add the finishing touches to this trendy bed frame. 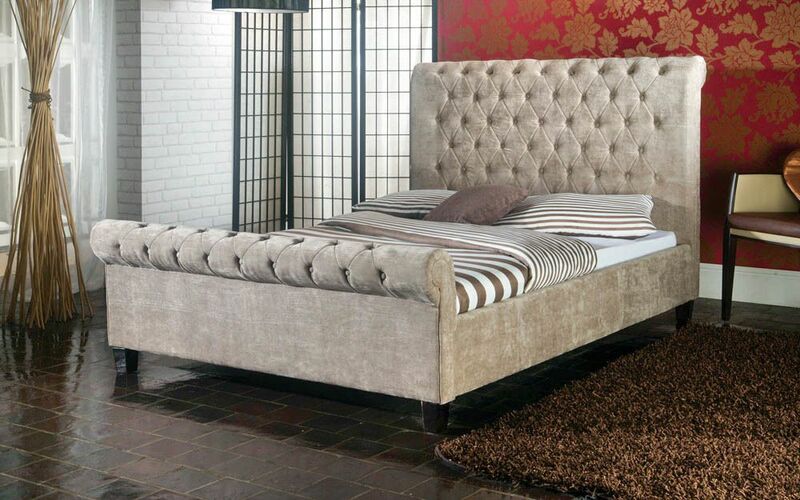 The Orbit is upholstered in a soft velvet fabric in luxurious silver, mink or black - made to fit any bedroom. Crafted with a supportive sprung slatted base, this bed frame works in harmony with your mattress to provide you with enhanced comfort while you sleep.